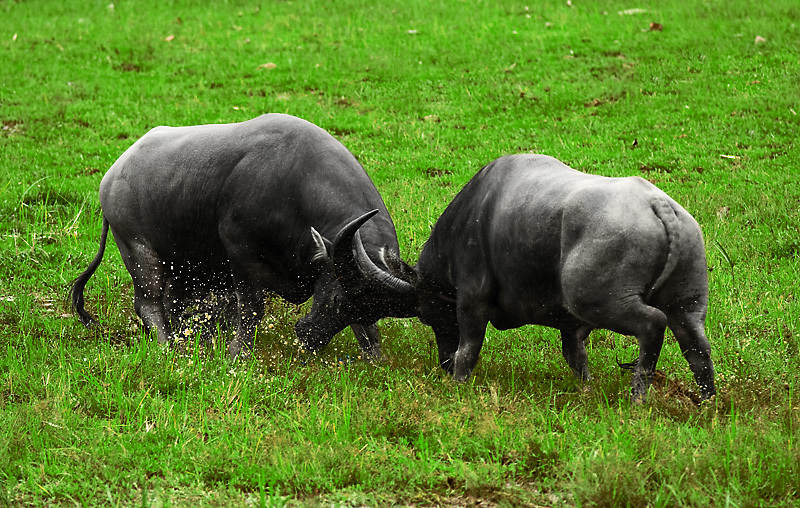 In an area famed for the elaborate and bloody funerals of its local Toraja people, two, otherwise gentle water buffalo, battle until either concedes victory. As far as I can understand from my conversation with the locals, these water buffalo fights are held in between sacrificial slaughterings simply for entertainment. The funerals of the Toraja deceased often last several days and depending on the wealth of the deceased, involve the slaughter of large numbers of animals. These water buffaloes were soon slaughtered afterwards and the meat distributed to the hundreds of funeral attendees.